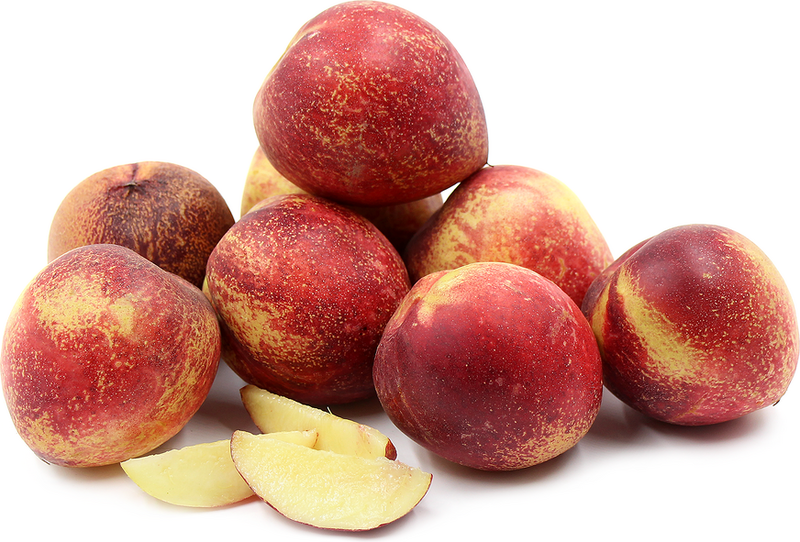 The Stanwick is a small to medium sized nectarine with green and magenta speckled skin. Its peel is slightly thicker than average and imparts a pleasant chewiness to the texture. The pale yellow-white flesh surrounds a loosely set pit that may be easily and cleanly removed. The Stanwick is known for its almost gamy flavor that is musky and tangy-sweet, with a hint of pineapple. Stanwick nectarines are available in the summer. The Stanwick nectarine is a white heirloom variety of Prunus persica nucipersica, and a stone fruit, alongside cherries, apricots, plums and almonds. There are dozens of white nectarine varieties which are the result of a natural occurring genetic mutation of peaches. Their season continues to expand with the introduction of early ripening nectarines that have been developed to reach the same level of quality and sweetness of their mid and late-summer counterparts. The Stanwick nectarine originated at Stanwick Park, England, where it was grown in hothouses for wealthy connoisseurs. Recipes that include Stanwick Nectarines. One is easiest, three is harder.